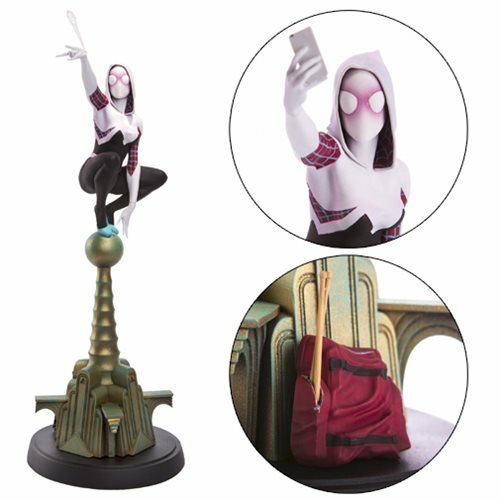 Based on Phantom City Creative's gorgeous art print, this statue depicts Spider-Gwen atop a high-rise building! This stunning statue comes with 2 additional hands allowing you to customize Spider-Gwen's look. Weither she's taking a selfie or slinging a web to swing into action, Spider-Gwen is ready to save the day! Measures about 14 1/4-inches tall. Ages 14 and up.